Brief : Article discusses the importance of a safe and secure neighbourhood and how Setia Haruman is working collectively with other stakeholders to ensure a livable environment for its people, especially the women community. Brief :There are a large number of workers in Cyberjaya who are required to work night shifts due to the nature of their profession. Of course, be if man or woman, safety is still the number one priority.In putting a high-level priority on the safety and security of Cyberjaya residents, the town is backed by an efficient safety ecosystem, with the fully integrated Malaysian Emergency Response System (MERS) 999 CCTV system which was first launched in 2009. Brief : Article covered the safety aspects available in Cyberjaya and how the available features help in ensuring a safe township particularly for women. It highlights the appreciation Setia Haruman has for the Cyberjaya women community and mentions some of the available safety measures such as the MERS 999 camera and Cyberjaya DTS in Cyberjaya. Brief : Article covered the safety aspects available in Cyberjaya and how the available features help in ensuring a safe township particularly for women. Brief :The town of Cyberjaya has long been at the forefront of Malaysia’s technology and innovation drive as it is the core location of the country’s Multimedia Super Corridor (MSC) initiative.As the master developer of Cyberjaya, Setia Haruman Sdn Bhd (‘Setia Haruman’) has been working with various stakeholders to enhance the liveability of the city which includes improving the safety and security of its residents. Brief : As part of International Women’s Day celebration, Property360 thought it’d be meaningful to highlight how Cyberjaya’s master developer Setia Haruman Sdn Bhd is giving special attention to ensure a safe environment for the city, especially the 60,000-strong women community. Brief : Recently in 2019, Setia Haruman Sdn Bhd has been working with stakeholders to enhance the liveability of Cyberjaya, including promoting and developing Cyberjaya as a global tech hub that serves the growing needs of its population and improving the safety and security of its residents. Brief : Article primarily focused on the growth of Cyberjaya and how Setia Haruman along with relevant stakeholders are moving forward from its ‘Malaysia’s silicon valley’ route. It highlights Cyberjaya’s struggles at the early stages and how now the growth of Cyberjaya has been smooth and steady. Brief : Article focused on interesting places around Cyberjaya and things that are usually missed when in Cyberjaya. It highlights the liveable aspects of Cyberjaya while also mentioning the safety features available around the city. Brief : Malaysia’s property sector is steadily evolving to meet the latest demands and the market’s expectations of developers are high. Brief : The property focused article discusses extensively on projects under Setia Haruman namely Ceria Residence, Centrus SoHo 1 and Gardenvuew Residence. Prime Minister (PM) Tun Dr Mahathir Mohamad, after it had since deviated from its initial objective. “We created Cyberjaya to concentrate on high technology, electronic and information technology (IT) industries there, but now, it has become just another town with the usual housing development,” Dr Mahathir said at the American Malaysian Chamber of Commerce luncheon in Kuala Lumpur last week. The MSC was started in Cyberjaya in 1996. Dr Mahathir added that with the policy on the MSC being reverted to its initial objective, more companies are expected to locate their plants and research laboratories in Cyberjaya. This, he hopes, will enable the tech corridor to live up to its name again. 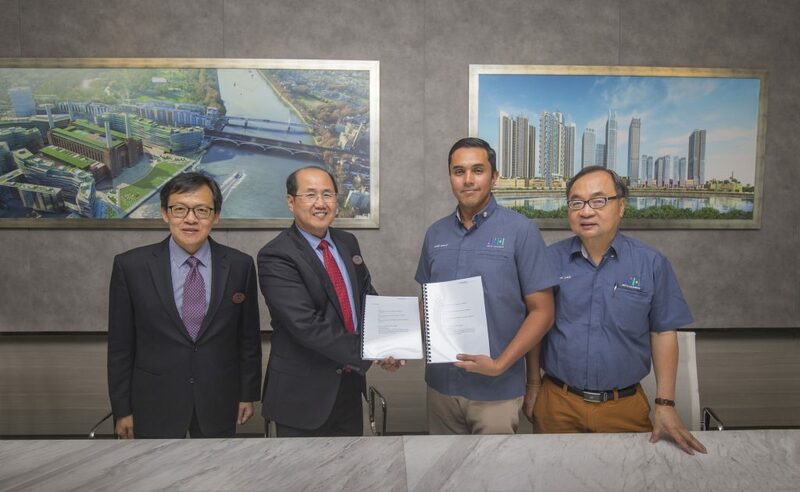 Brief : SETIA Haruman Sdn Bhd has signed a Memorandum of Understanding with Cyberjaya University College of Medical Sciences (CUCMS) and Asia Metropolitan University (AMU). Brief : Seramai kira-kira 100 pelajar Universiti Multimedia (MMU), Cyberjaya menyelami kepakaran dua pelukis grafiti profesional Indonesia ketika menghasilkan mural memperindah bandar siber itu baru-baru ini. Manakan tidak, kedua-dua pelukis grafiti dari Jogjakarta, Indonesia itu cukup terkenal dengan hasil lukisan jalanan di serata tempat. Dua pelukis grafiti itu, Fahla Fadhillah Lotan, 27, dan rakannya Otong, 36, dibawakan ke Cyberjaya sempena prapelancaran Festival Cyberjaya Art Xpression (AxF 2018) anjuran MMU dengan kerjasama syarikat pemaju bandar itu, Setia Haruman Sdn. Bhd. Brief : Startups come to Cyberjaya for the MakerSpace. Chumbaka organises workshops in schools and uses open-source technologies as its platform. It also has a makerspace in Cyberjaya, where it runs programmes for children. In addition, Lam met the Poladrone founder at a Start-up Weekend event. “Originally, the founder wanted to use drones for home security and wanted to build his own drone. That was when the experience of the community came in. We said, instead of building his own drones, he could use other people’s technology and add his stuff. Once the start-up came up with the idea of using drones for agriculture, we provided our makerspace in Cyberjaya, where they started work and prototyping,” he says. Brief : On May 12 to 13, Pixaworks Creative and The Launchpad Co-working & Event Space launched Cyberjaya Startup Summit, which was organised to bring the local entrepreneur ecosystem closer.Held at The Launchpad Cyberjaya, the 2-day summit had a theme of “Sustainable Entrepreneurship” and was supported by Setia Haruman, MaGIC, Cyberview, Malaysia Debt Ventures, Soft Solvers Solutions, MDEC along with many other community partners. Brief : Setia Haruman Sdn Bhd (Setia Haruman), pemaju utama Cyberjaya masih bersungguh-sungguh dalam mengembangkan lagi Cyberjaya sebagai sebuah bandar yang lebih bertenaga dengan misi serta menjadikannya sebuah bandar yang mudah didiami, dengan kehijauan dan berkonsepkan bandar pintar. Brief : Setia Haruman teamed up with Multimedia University (MMU) to organise The Cyberjaya Art Graffiti in conjunction with the Cyberjaya Art Xpression Festival 2018 (AxF 2018) themed “I Am Me” for the Cyberjaya community. Brief : S P Setia Bhd has acquired approximately 57 acres of freehold land in Cyberjaya from Cyberjaya’s master developer, Setia Haruman Sdn Bhd for a total of RM177.5 million. S P Setia’s president and CEO, Dato’ Khor Chap Jen said, “The land would be developed by the joint venture company between S P Setia (70%) and Setia Haruman (30%) into a residential development with an expected gross development value (GDV) of RM650 million. Brief : As part of its efforts to help businesses go digital, Maxis recently organised the Maxis MRCA Youth M-RACE, an ‘Amazing Race’-like challenge which saw participants taking part in unique digital experiences using Maxis Business Solutions. More than 50 MRCA Youth members took part in the one-day event, which required them to drive to several locations in Cyberjaya and Putrajaya to solve puzzles and challenges as a team. Brief : Cyberjaya master developer Setia Haruman Sdn bhd is relentless in growing Cyberjaya into a vibrant township with a mission for the city to become a liveable, green and smart city. Its target is to achieve a total population of 500,000 by 2035 from more than 103,000 at present. Property choices are plentiful in Cyberjaya, buzzing with modern technology and a green environment. 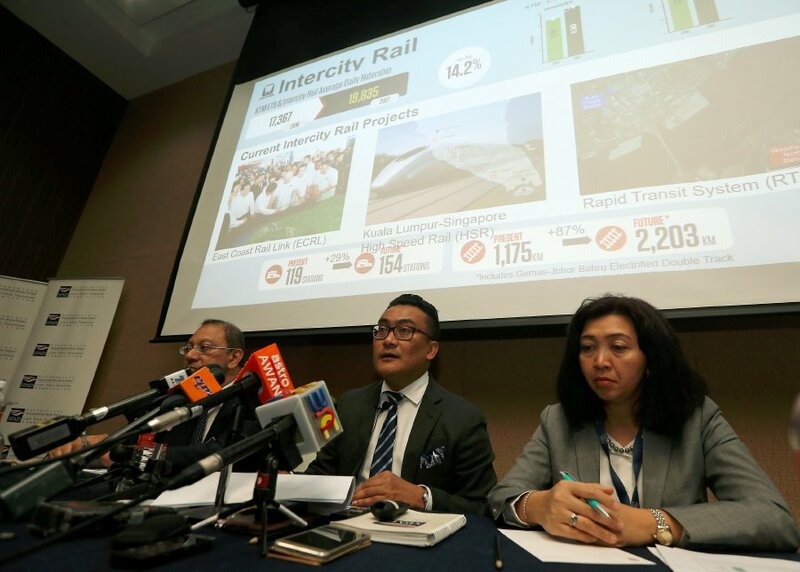 Brief : The Land Public Transport Commission (SPAD) will initiate a Request for Proposal (RFP) exercise for a 53km tram service system connecting Putrajaya, Cyberjaya, Bangi and Kajang. Its chief executive officer Mohd Azharuddin Mat Sah said the commission has received the green light from the government to initiate the exercise for bids to implement the new public transportation system. Brief : Malaysia local robotics company Robopreneur Sdn Bhd joins UNIMY’s impressive list of industry partners to support the boutique university’s commitment in providing specialised computer science and engineering education for the nation’s future. Robopreneur is also currently developing a full scale humanoid robot, which will be the 1st Malaysia’s humanoid robot, a project funded by Futurise Sdn Bhd and Cyberview Sdn Bhd. Brief : The third edition of Cyberjaya Twincity Marathon attracted 7,500 participants. by Cyberview, the tech hub enabler tasked to elevate Cyberjaya into a global technology hub. stakeholders MDEC, Cyberview Sdn Bhd and Majlis Perbandaran Sepang. Rasul bin Zahiri in support of his participation in the Ironman 2017 and Powerman Asia 2017 programmes. Cyberjaya (MNCs, companies, government agencies, etc). happenings around this Capital of Creation. Municipal Council came together to support the occasion. Brief : For every problem, there is a solution. For every task, someone will eventually create an app to make things easier. Brief : According to Cyberview, smart infrastructure is just one of the elements of a smart city. Smart Economy and Smart Social. Brief : Cyberjaya Capital Playground Carnival @ Neocyber on Saturday, 20th May ended with a bang with an approximate 4500 community members from Cyberjaya as well as from neighbouring townships. The public had a chance to race in the electronic GoKart, be chauffeured driven in a Tesla, participate in Virtual Reality games and test drive electric cars and bicycles as well as entertained with performances by the Batteryheadz, Joe Flizzow, Colour of Voices and other artiste from various genres. Brief : A special pull-out issue in The Edge was initiated jointly between SH and Cyberview Sdn Bhd in conjunction with the 20th anniversary. Articles embedded within the 8-page spread recaps the transformation that have taken place over the past 20 years, why Cyberjaya is still relevant as Malaysia’s Tech Hub and the many unique selling propositions of this aspiring smart city. Brief : Cyberview Resort dan Spa yang dibina sempena sidang kemuncak itu merupakan antara bangunan terawal yang dibina di Cyberjaya. Resort tersebut dibuka selepas lebih setahun majlis pecah tanah Cyberjaya berlangsung iaitu pada 17 Mei 1997. Brief : “We can see new developments between Kuala Lumpur International Airport and the KL city centre, and Cyberjaya is located between these two main hubs of growth. With that I see new opportunities in Cyberjaya in the short term,” said Khalif. Brief : It was certainty an “Air-Ceptional thanks to all” event at Cyberview Resort & Spa as guests were treated to a hot-air balloon ride. The event was held as a gesture of appreciation for their support and also to celebrate Cyberview Resort’s 20th anniversary. Acting Resort Manager Yesodharan Santhesegaran welcomed guests who helped themselves to a sumptuous meal of snacks and desserts. Brief : Wendy Li, COO of Setia Haruman said if we don’t allow ourselves to fail and learn, we will never be able to see why we undergo certain challenges. Brief : 11 major announcements, including the establishment of an R&D and Innovation hub as well as a regional centre for big data, were today announced as Cyberjaya celebrated its 20th year anniversary, in a ceremony witnessed by Prime Minister Datuk Seri Mohd. Najib Tun Abdul Razak. The announcements; which include brand new projects, investments and funds, aim to catalyse strategic collaborations and accelerate Cyberjaya’s transformation into a global technology hub. Brief : Completed two months before schedule, Sterling Group executive director Ahmad Khalif Mustapha Kamal said the project will enable those with household income of under RM10,000 to own homes and live in Cyberjaya. Brief : DYTM Raja Muda Selangor, Tengku Amir Shah launched the Smart Selangor Pavillion at the Smart City Expo World Congress, in Barcelona, Spain. His majesty praises Selangor’s efforts to be part of an international movement to participate and share ideas and experiences with the global community. He also mentioned that this is very much in line with the vision of making Selangor the state with the highest population in highly developed areas in the country. Brief :This event was hosted by SK Cyberjaya and officiated by Pn Hjh Farah Mahami bt Tan Sri Mustapha Kamal saw the coming together of Cyberjaya main stakeholders Majlis Perbandaran Sepang, YB Shahrom, Bomba and Police along with support from Yayasan EMKAY, e2L, Agensi Anti Dadah Kebangsaan, Selangor Library, Jabatan Kesihatan, Bank Rakyat and Animonsta Studios. 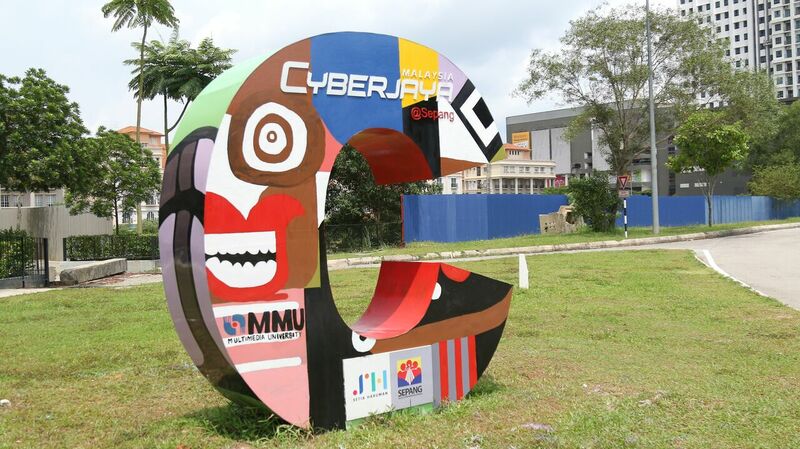 The objective is to create awareness of the milestone of Cyberjaya’s achievement. Also part of EMKAY Group’s CSR programme, the company along with co-contributors EMKAY Group, Setia Haruman and OBYU Holdings Sdn Bhd contributed RM200,000 to PIBG SK Cyberjaya in support of the installation of metal roofing at the assembly area of the school. Yayasan EMKAY took the opportunity to present a mock cheque to them. The mock cheque was presented to the PIBG SK Cyberjaya representative and the Principal by Yayasan EMKAY General Manager Pn. Hjh Zainon Kasim and witnessed by Puan Farah Mahami & YB Shahrom. The event saw a total attendance of approximately 600 guests. The carnival is another important community event for Cyberjaya. Brief :In conjunction with the Cyberjaya’s 20th Anniversary, Cyberjaya Music Festival was to positioned Cyberjaya as a COOL place. The event saw a total attendance of approximately 950 guests including people from the creative industry, music lovers and potential purchasers.70% of the attendees are coming from out of Cyberjaya which augurs well with the objective of attracting more people to visit Cyberjaya.